Imported sprinter Home Of The Brave has upset Everest favourite Trapeze Artist at Rosehill. 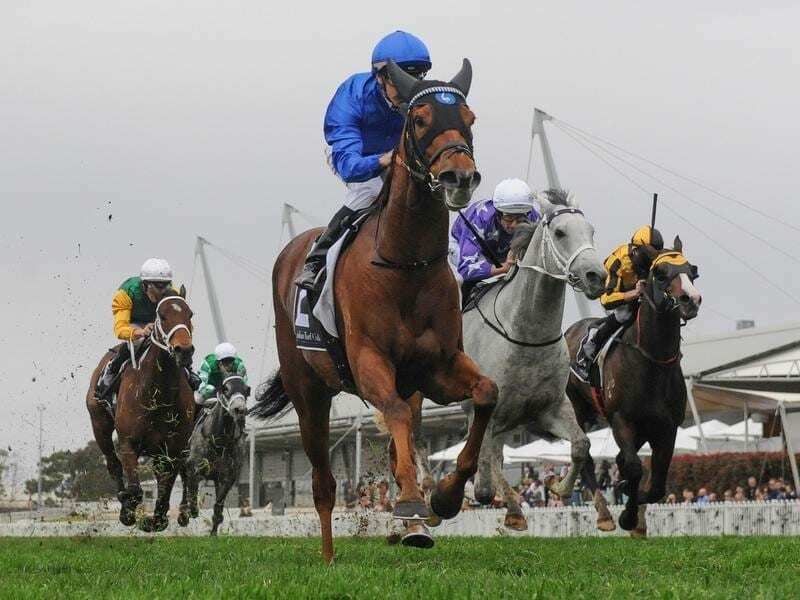 Imported Godolphin sprinter Home Of The Brave is bound for bigger races after a dominant win in the Group Two Theo Marks Stakes at Rosehill. His win over D’Argento and Trapeze Artist on Saturday prompted discussion about The Everest but stable representative Darren Beadman diverted attention from the $13 million race ,saying trainer James Cummings had many options. “James has mentioned the Sir Rupert Clarke Stakes as an option,” Beadman said. Glyn Schofield sent Home Of The Brave ($5.50) straight to the front and he got stronger as the race went on. Favourite D’Argento ($2.90) loomed up but the leader kicked and had two lengths to spare on the line. “Conditions are trying and testing, he got through them really well and congratulations to James and the team. Trapeze Artist ($5.50) lost his position as favourite for The Everest with 2017 winner Redzel now at the top of the market but trainer Gerald Ryan was far from discouraged. “First-up on a heavy track, I was happy with him,” he said. “He had to carry 62 kilos and from now on he meets the others at level weights. Trapeze Artist’s jockey Tye Angland said the track played against him. Home Of The Brave’s win came at his second Australian start and followed his second to Voodoo Lad in the Aurie’s Star Handicap at Flemington last month.